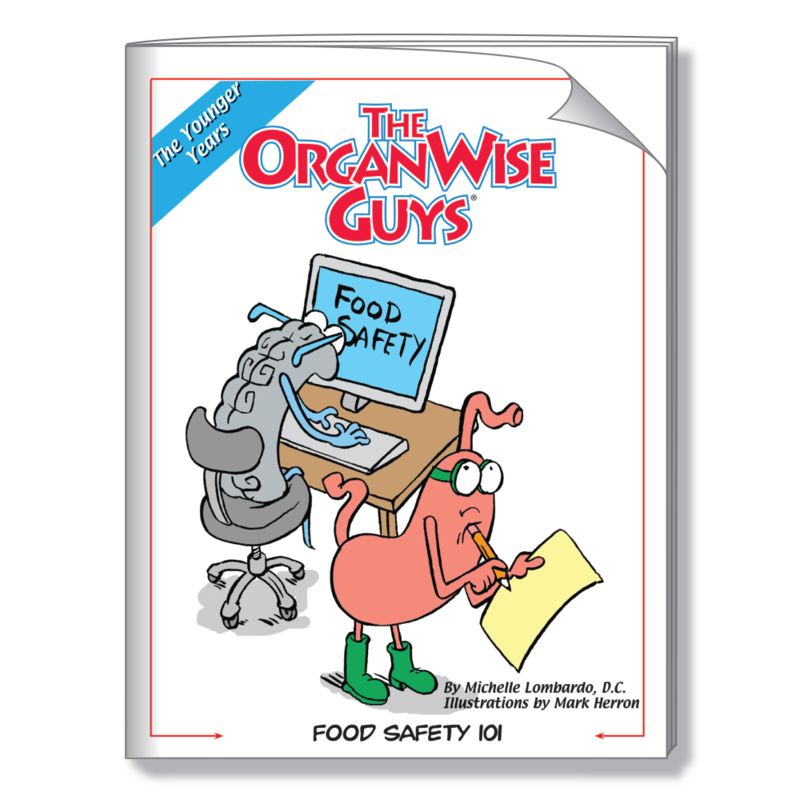 The OrganWise Guys not only want kids to eat healthy foods, but safe ones as well. So in addition to learning about proper nutrition, a balanced diet, and the importance of water and exercise, they also address the concept of food safety. Pepto, the stomach learns about food safety rules, how to handle and prepare food, and about proper cleanup and food storage. Safety first!